My 29th birthday (WHAT?!) was at the beginning of the month and honestly, the thought of turning 30 next year is terrifying. I really do not feel like I'm that old at all so it is really bizarre to think about. 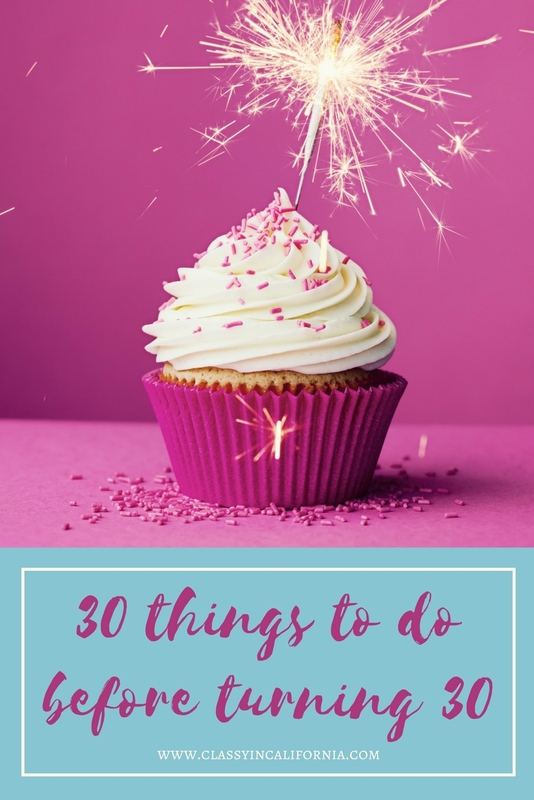 I have seen people do posts like this in the past for the year before a milestone birthday and I thought it would be a good idea to make a list of 30 things that I would like to do before the big 3-0! Graduate from grad school - I have officially finished all of my courses for grad school, but I have a few more requirements to finish up before applying for graduation. Get a full time teaching job - I studied education during grad school so now that I'll be finished with school, I am ready to begin my teaching career! Take a vacation in NYC with my mom - My mom and I spent a week in NYC in November of 2015 and it was the greatest week of my life. I'm so ready to experience that again! Fly first class - The next time we go to NYC, I want to fly in first class for the first time! Start building up a decent savings account - As a grad student on a big budget for the past two years, I have not been able to save much money and it's time to play catch up! Have a wardrobe filled with higher quality pieces - As I've gotten older, I have learned the importance of buying fewer, higher quality items. I want to keep working on creating a quality wardrobe that I can wear for years. Visit the Wizarding World of Harry Potter - I'm a huge Harry Potter fan and somehow I have not been to Universal Studios since the addition of Harry Potter! It's not okay! Go to a concert for an artist I haven't seen live before - I love going to concerts but I haven't been to very many lately. I'd like to see someone that I haven't seen live before! 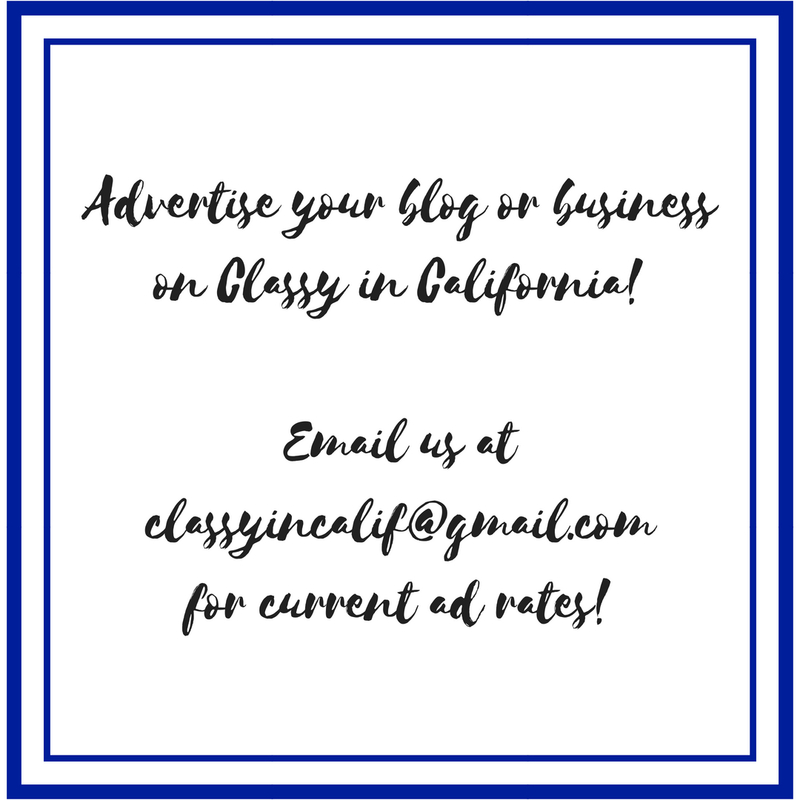 Attend a blog conference - I really want to devote more of my time to growing my blog and I'd love to attend a conference and meet other bloggers. Establish a solid skin care routine - I am still trying out products and finding what works best for my skin but by 30, I want to have an actual routine firmly in place! Take an Ancestry DNA test - I'm so curious to find out where my family comes from. It seems like everyone in my family has a different opinion and I think this would be super fun! Learn about the countries my family came from - In addition to just knowing where in the world I come from, I want to know about these places and their cultures. Spend an entire weekend unplugged - This includes phone, computer, and TV! Treat myself to a designer item - Maybe a bag, Chanel ballet flats, or a Hermès bracelet! Attempt adding video content to my blog - I love watching vlogs and I think it could possibly be really fun to create my own vlogs or other video content. Even if nobody watches, I think it'd be great to look back on one day! Put together a Family Tree - I'm not close with my father's side of the family so I know very little about them. I also don't know a lot about my mom's side because my grandparents have passed away. Work out on a regular basis - I go through different times when I really enjoy working out and times when I hate it so I stop. I want to actually figure out a workout I like and do it regularly! Read all the books in my bookshelf I haven't read yet - I am notorious for buying new books when I haven't even read the ones I already own. Make some new friends - It's so hard to make friends in your late 20s! I want to figure out how to do it and build up a little group of irl friends! Go on a vacation by myself - I love spending time alone (major introvert!) but one thing I haven't really done is a full vacation other than an overnight trip! Go a month without buying clothes - I've attempted this before and failed (no surprise) but I want to try again sometime this year. Get a passport - I know, I know. I can't believe I don't have one either but I haven't had any opportunity to leave the country yet so I never got one. That obviously needs to change! See at least 2 Broadway shows - I put 2 shows because I already have Hamilton tickets for December and I felt like that was cheating. I want to see another show as well, but I'm not sure which show yet! Finish decorating my bedroom and office - I moved into my new house last December and my room still isn't finished my bedroom and office. My bedroom is close to being done but my office is still a mess. Get back into painting - I was really into painting in my early 20s and took several art classes during undergrad. I took so many art classes (even though my major was education) that my counselor cut me off from them! Write a letter to myself to open in 10 years - I like the idea of this and I feel like writing it before 30 would be really interesting. Do something exciting for New Years - I typically stay home in pajamas and watch the ball drop on tv and I think it'd be fun to mix it up this year! Go on a road trip - I haven't done a real road trip since my 21st birthday when I road tripped to San Francisco with a bunch of friends. I think it's time for another! Brush up on my Spanish - I took 2 years in high school and 2 years in college. I have a decent foundation but I really should have kept going. 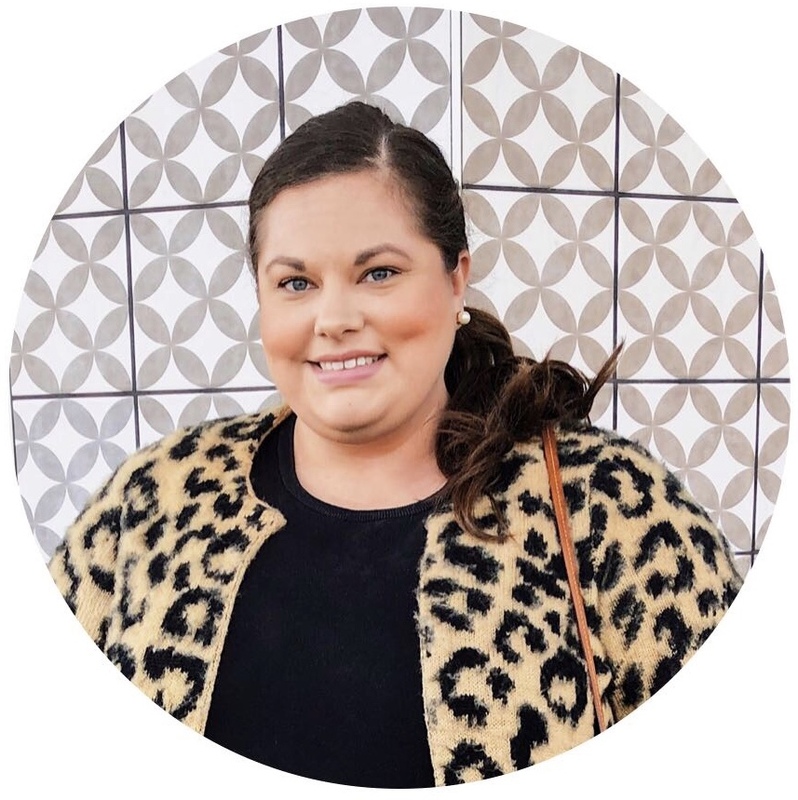 Start posting my actual outfits on the blog and Instagram - It's a little scary to start posting yourself all over the internet but I really want to start putting up actual outfits. I really hope that I am able to complete all 30 of these tasks over the next year! What is one thing you would put on your list? This list is so cool! I can't wait to read about your updates as you check things off!